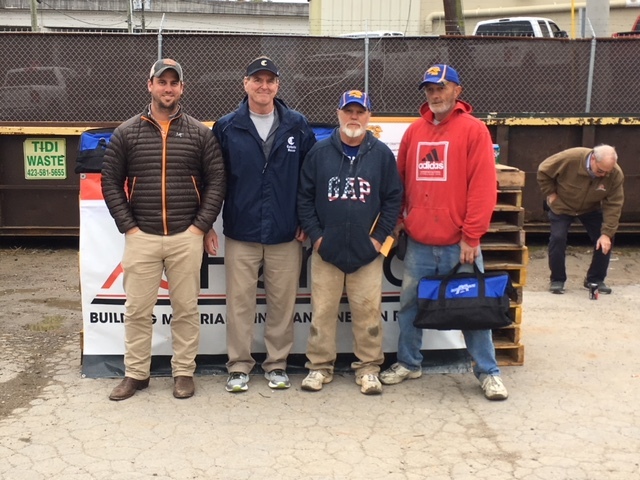 Knoxville – The 2018 SPEC MIX BRICKLAYER 500® East Tennessee Regional Series has come to a close and mason Fred Campbell and mason tender Tony Shelton of Creative Masonry in Greeneville, TN won it all. Now they head to Las Vegas to compete in the SPEC MIX BRICKLAYER 500 World Championship next January at the World of Concrete. A.G. Heins in Knoxville, TN hosted the regional series event, one of 24 being held across North America. The qualifying national competitors will battle for a chance to win over $125,000 in cash and prizes, including a Ford F250 XLT 4X4 truck and John Deere Gator. 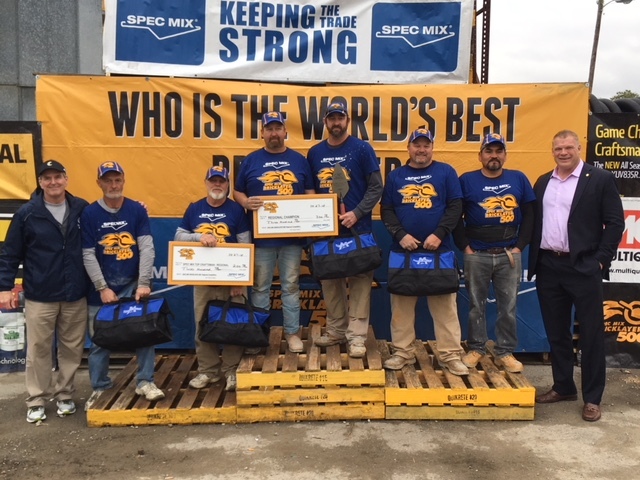 This year’s regional event drew seven teams of highly skilled bricklayers. Their mission is to build a wall as big as they can in one hour. The mason with who lays the most brick with the least mistakes wins. Fred Campbell and Tony Shelton celebrated victory with a brick count of 665. 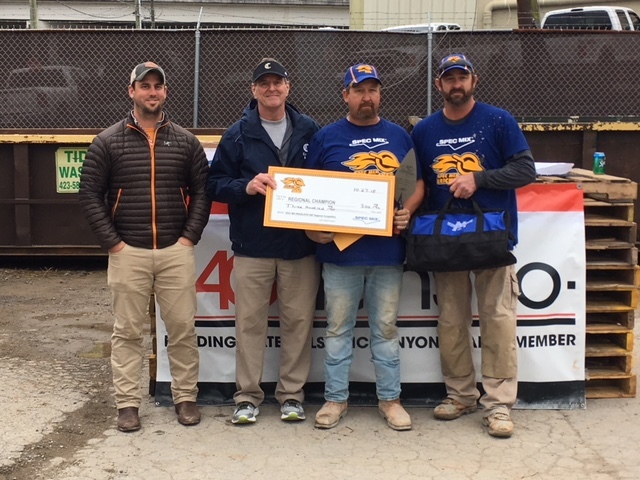 For their efforts, Campbell and Shelton receive $300, a trip to Las Vegas and the title “East Tennessee’s Best Bricklayer.” Campbell is a two-time national champion, and is looking reclaim the title. 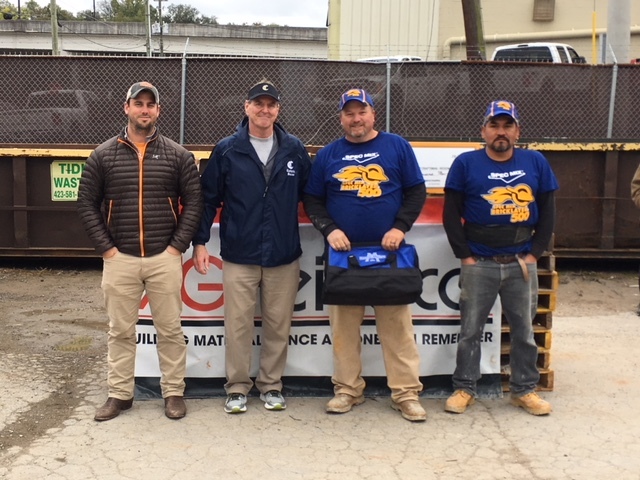 2nd place went to mason Jason Peek and his mason tender Pedro Sanchez of Peek Masonry in Churchill, TN with a brick count of 575 earning them a prize of $200. 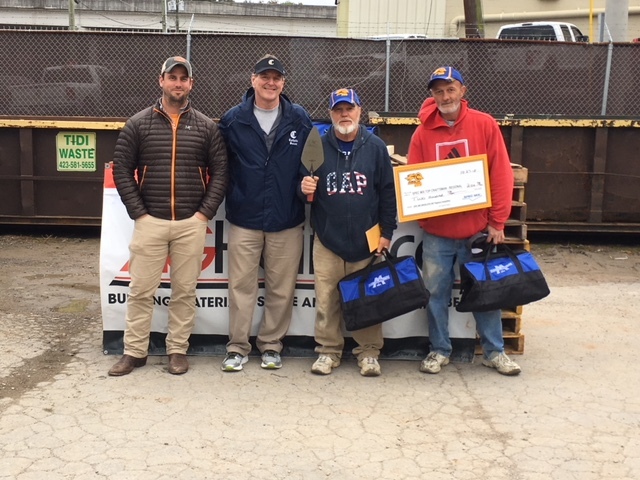 Third place went to mason Howard Coleman and his mason tender Paul Craiger of All About Masonry in Watauga, TN who received $150. They also took home the prize, SPEC MIX TOP CRAFTSMAN, which goes to the team with the “most sellable wall,” for this honor they received an extra $200. In attendance this year was Knox County mayor and former WWE pro wrestler Glenn Jacobs, aka, Kane who addressed the crowd during judging. CBS affiliate WVLT also came out to feature the event.